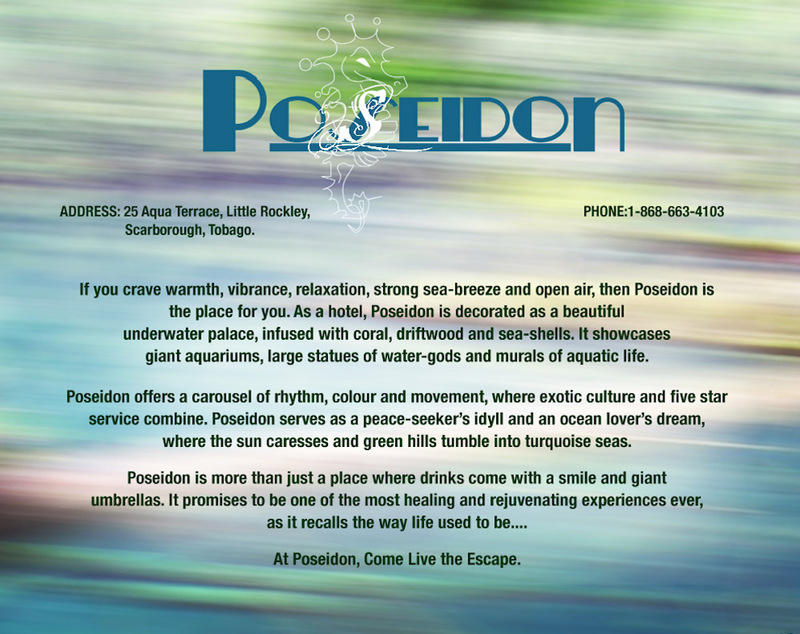 If you crave warmth, vibrance, relaxation, strong sea-breeze and open air, then Poseidon is the place for you. As a hotel, Poseidon is decorated as a beautiful underwater palace, infused with coral, driftwood, seahorses and sea-shells. 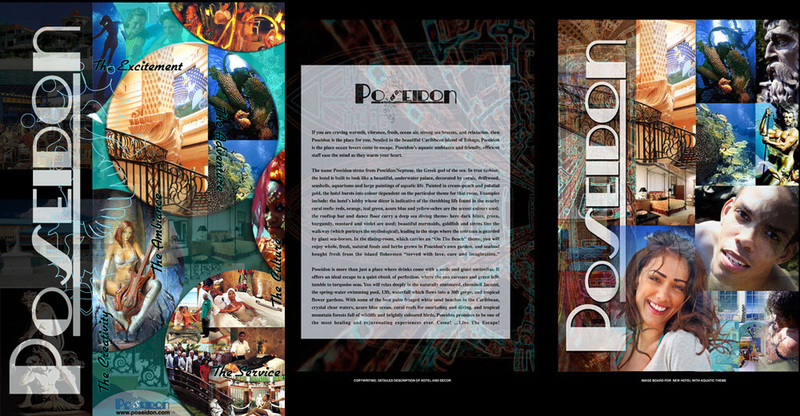 It showcases giant aquariums, large statues of water-gods and murals of aquatic life. 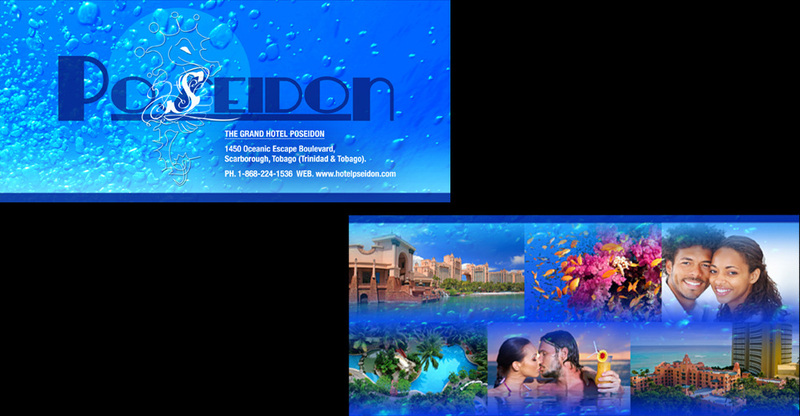 Poseidon offers you a Caribbean rhythm, colour and movement, where exotic culture and five star service combine. 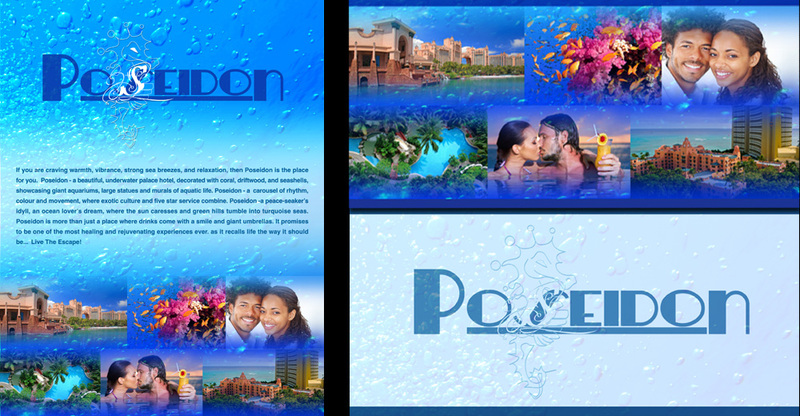 Create business collateral for a new hotel in Tobago (Caribbean), which features an aquatic theme styled ambience with five-star luxury, all-inclusive service. A logo design was created to reflect stability, oceanic elegance, style, sophistication. Marketing Materials & Branding included a Seahorse Tile Motif, Post Cards, Info Cards, Labels and a Brochure. Poseidon Hotel Logo, Seahorse Motif and Tile.